I nsurers place major importance on measuring the costs for litigated files, according to a new LexisNexis industry survey. A sizable majority of respondents say that metrics such as average case total cost, legal expense per case and the total number of days-to-resolution help get the job done, LexisNexis found. 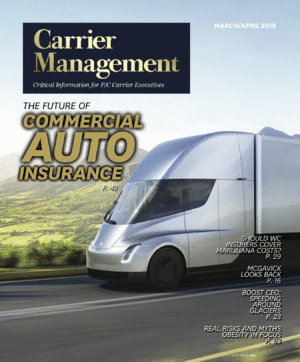 The report analyzed the top metrics used to manage legal costs and performance and emphasized that carriers track costs closely by case. More than 80 percent of survey respondent said they measure average case total cost, legal expense per case and the total number of days-to-resolution. Additionally, the survey of insurance staff handling litigated claims found that 72 percent rely on metrics to drive overall decision-making. Survey respondents of the 94 U.S. property/casualty insurers ranged from staff counsel to vice president of claim. They reported their companies spent between $10 million and more than $500 million annually on outside counsel. 84 percent said they use the average total cost of case (loss + legal costs). 82 percent said they rely on legal expense per case, or cycle time (days to resolution). 77 percent use loss per litigated case. 71 percent depend on allocated loss adjustment expense (ALAE) as a percent of loss ratio. 63 percent use allocated legal loss adjustment expense (ALLAE) as a percent of loss ratio. 62 percent use average or median bill rate by claim type. 51 percent consider staff vs. outside counsel outcomes. 44 percent put AFA (alternative fee arrangement) outcomes by fee type into play. Especially noteworthy, according to the report, is that more than 60 percent of claims departments surveyed also reported tracking average or median bill rate by claim type. Determining which metrics are most effective is of value to claims litigation departments where efficiency matters. According to the report, the most used metrics were also rated as the most effective. About half of the respondents tracked staff versus outside counsel outcomes, though the metric used proved to be the least effective. This may be due to the industry’s mixed views on the value of using staff versus outside counsel. Another metric that didn’t rate highly effective was the metric used to measure alternate fee arrangements (AFA) outcomes by fee type. A midyear trends report released by LexisNexis on legal management trends indicated industry utilization of AFA was stable at almost 9 percent of corporate billings and close to 7 percent for all other matters. According to a spokesperson, the third report will explore AFA in depth. Nearly 80 percent of respondents indicated cost control initiatives for allocated loss adjustment expenses (ALAE) in 2015 focused on third party bill review, while some companies planned to expand staff counsel or build an in-house bill review department. Nearly 71 percent of respondents indicated they track ALAE, 63 percent also reported tracking Allocated Legal Loss Adjustment Expense (ALLAE), which examines legal defense costs as well as against loss ratios. Both were deemed key indicators of performance and important to claims litigation decision-making. Less than half of those surveyed were willing to share ALAE-to-loss ratios. ALAE/Loss ratios between 6 and 10 percent were reported by 16 percent of respondents, nearly 26 percent reported a range between 6 and 15 percent, and 7.5 percent reported their numbers were greater than 25 percent. Interestingly, respondents were split when it came to whether they expected ALAE figures to increase or decrease in the next year. Those that expected an increase in ALAE figures felt that they were responding to outside forces they could not control like rising rates, increasing case complexity, longer cycle times, and potentially explosive litigation. Those who expected a decrease in ALAE pointed to their companies having effective cost control measures in place such as early identification, front line management and good relationships. Respondents’ top priority regarding cost control initiatives, according to the report, involves proper litigation case management supported by actionable analytics. Key insights revealed by the survey indicated that litigation management continues to be a top priority for the majority of property/casualty claims departments, metric tracking offers the potential to reduce litigation costs, the level of litigation management control is key to ALAE projections and as staff counsel is predicted to grow, tracking outcomes and measuring effectiveness becomes increasingly more important. Details are in the report, “U.S. P&C Law Departments Rate the Metrics They Use to Manage Costs and Performance.” The report is the second in a series of market research surveys focused on how property/casualty insurers are managing litigation costs. The first report, P&C Law Departments Prioritize and Rate Initiatives for Controlling Costs, found that early case review and e-billing were the top cost containment programs for controlling defense costs. A third report is projected to be released in the first quarter of 2016.